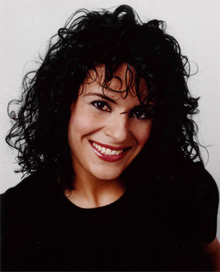 Founder and CEO of The Jodee Blanco Group, two-time New York Times Bestselling author Jodee Blanco is an internationally respected public relations consultant in the entertainment and publishing fields. Entrepreneur, she is her own best example of what she can achieve for her clients. She applied the same expertise that made her a catalyst in their careers, to launch the trajectory of her own commercial success as a writer and performance artist who transformed one popular book into a cottage industry that is saving lives. She began her publishing career on the publicity and public relations side, and by the time she was twenty-five years old, had orchestrated the campaigns for numerous New York Times bestsellers, including: #1 Bestseller Secrets About Men Every Woman Should Know by relationship expert Dr. Barbara DeAngelis; On The Outside Looking In by Michael Reagan, President Reagan’s son; The Duke of Flatbush by star Brooklyn Dodger Duke Snider; Healing the Shame that Binds You, also a #1 New York Times Bestseller by self-help expert and therapist John Bradshaw; and Out of Bounds by football Hall of Famer and movie star Jim Brown, among many others. At twenty-seven, she founded her first company, Blanco & Peace, where she remained at the helm for a decade. While at Blanco & Peace, Ms. Blanco developed and executed some of the most innovative campaigns in publishing, most notably landmark promotions that redefined the possibilities for selling books and earned her the loyalty of such houses as Simon & Schuster, Random House, Littlebrown, Warner Books, Bantam/Doubleday/Dell, and Kensington. Ms. Blanco also designed campaign strategies for a broad spectrum of international projects including: a twelve acre theme park in Thailand; the largest privately sponsored Civil War memorial event in the history of the United States; the World Expo in Taejon, Korea, and a book launch in the nation’s capital that brought together a legendary assembly of ambassadors, CIA officers, political leaders, and a former top ranking member of the KGB, that made front-page news. As her career evolved, so did her list of consulting clients. Ms. Blanco has worked with HBO, Universal Studios, Fox, Disney, ITT, Jersey Films, and newsmakers and personalities such as: Carl Reiner; the executive producers of Seinfeld, Sharpiro/West Productions; former running-back and activist Jim Brown on his convict rehabilitation movement, Emmy-Award winning television and film producer Bob Zmuda, founder of Comic Relief and executive producer of Man on the Moon, the Golden Globe winning bio-pic about performance artist Andy Kaufman starring Jim Carrey and Danny DeVito directed by Milos Forman which Blanco also represented; and the late Hollywood legend Mickey Rooney. On the academic side, she served as an adjunct faculty member at New York University and The University of Chicago. Her early works as an author include The Complete Guide to Book Publicity, published by Allworth Press, the first book ever written on the subject, and which has been called the “book publicity bible;” and The Evolving Woman: Intimate Confessions of Surviving Mr. Wrong, from Health Communications, Inc., which received The Celebration of Hope Literary Award at the 2000 inaugural activities in D.C. and garnered the praise of then senator and current Vice President of the United States Joe Biden. Since the 2002 release of her New York Times best-selling memoir Please Stop Laughing At Me…. that chronicles her early years as a student outcast, Ms. Blanco has become an anti-bullying activist. Inspired by the thousands of letters and speaking requests she receives, she travels around the world sharing her story of survival and forgiveness with students, parents, teachers, and other professionals in an effort to motivate change. She’s presented her celebrated anti-bullying program It’s NOT Just Joking Around!™ to a combined audience of over a half million people and her efforts have been recognized by the United States Department of Justice, The Department of Interior, the National Crime Prevention Council, the United States Department of Health and Human Services, The National Catholic Educational Association, The Special Olympics, the Canadian Frontier School Division, the Prime Minister of Trinidad/Tobego, and The Roman Catholic Archdiocese of Curacao. The media also turn to Jodee frequently as an expert interview, like CNN’s Anderson Cooper, HLN’s Jane Velez Mitchell, Nancy Grace, CBS Evening News, and print outlets including Newsweek, and US News & World Report. Her story has been featured three times on The CBS Evening News, appeared on the cover of Teen Newsweek, made the cover of USA Today’s Life section twice, been spotlighted in Parade Magazine, and hundreds of local papers worldwide. She has bylined numerous pieces for CNN.COM, USAToday.com, and The Huffington Post. Ms. Blanco’s proven expertise in bullying coupled with her formidable background in PR often lead to consulting projects that require a deeper, more sensitive understanding of the elements involved. The Center for U.S. Ukrainian Relations, a DC based, global entity dedicated to Ukraine’s geopolitical growth and independence, handpicked Ms. Blanco, because of this rare combination of wisdom, to offer insight during the war in Crimea. The Government of Ohio together with one of its most trusted vendors brought Ms. Blanco on board as creative consultant to several departments that serve parents and families. In addition to Please Stop Laughing At Me…, Blanco is the author of three other books on bullying, including the award-winning sequel to her memoir, Please Stop Laughing At Us…, the Please Stop Laughing At Me… Journal, and the newest title in the series, Bullied Kids Speak Out: We Survived, How You Can Too. She is also the co-author of The New York Times bestseller BOTH OF US, actor Ryan O’Neal’s memoir about his life with long-time love Farrah Fawcett. Ms. Blanco lives in Chicago with her wise and witty black lab Mr. Shadow, whom she rescued, although it is truly he who rescued her.